Set.002: Ken Millward's local views. gy002-04: 29.03.14 Romiley. 66105 approaching the junction with a Tunstead to Dean Lane service. 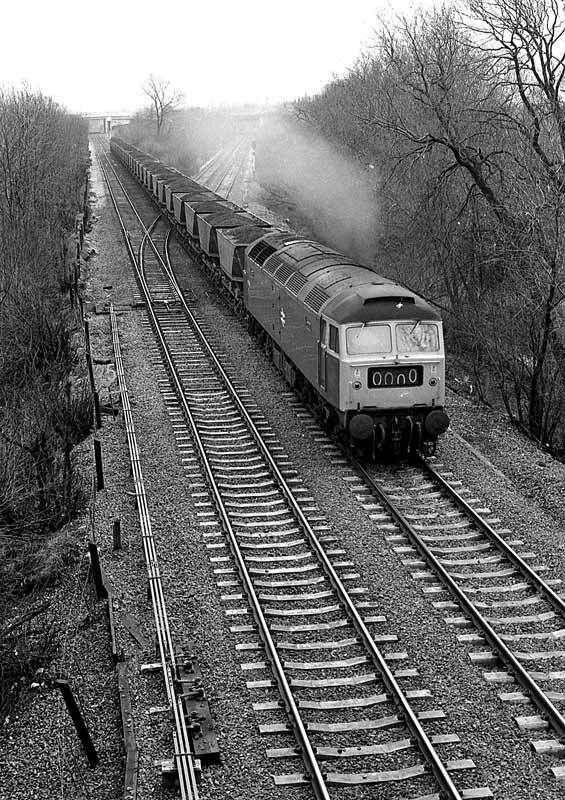 gy002-05: 02.10.78 Heaton Norris 40024 with a west bound coal train passing Georges Rd distant. Notice the recess in front of the signal. This was to accomodate a set of trap points. gy002-06: 09.12.78 General view of Georges Rd and Travis Brow. gy002-08: 11.03.78 Northenden Jct Box. 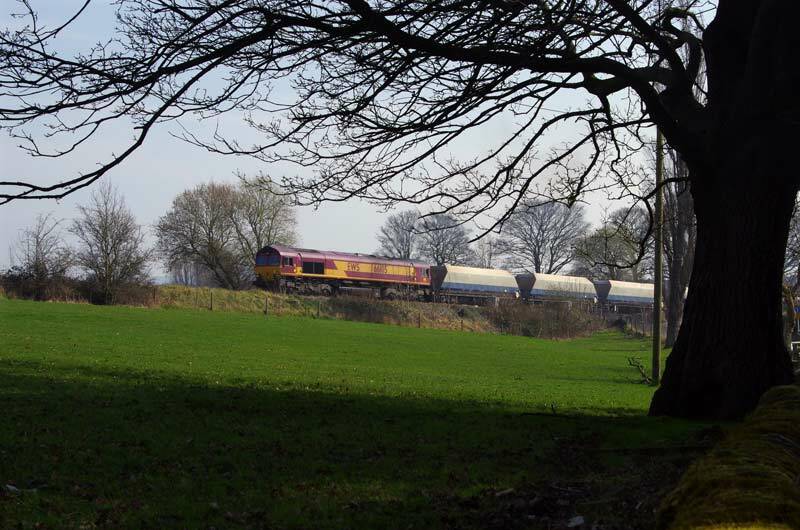 40014 approaching with empties for Rotherwood Sidings. This was a Sunday diversion working. 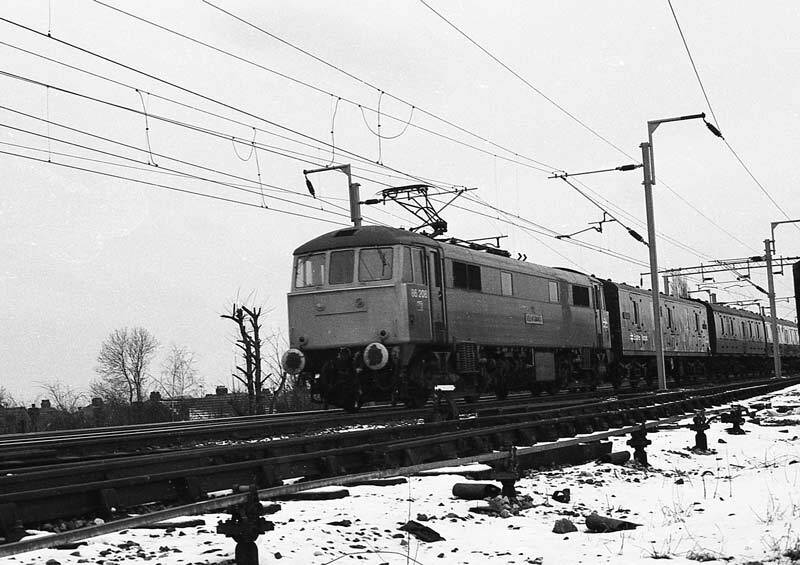 gy002-09: 11.03.78 Northenden Jct Box. 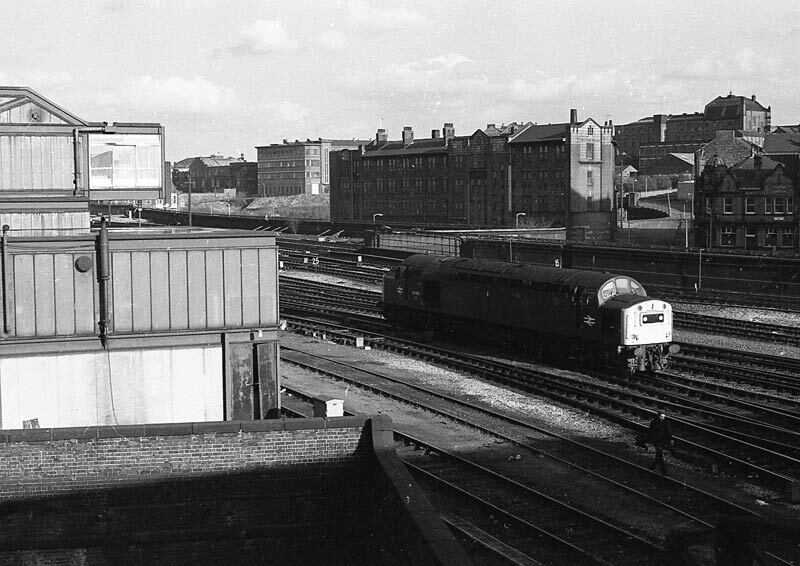 40163 approaching with empties for Rotherwood Sidings. This was a Sunday diversion working. gy002-10: 04.03.79 Manchester Victoria. 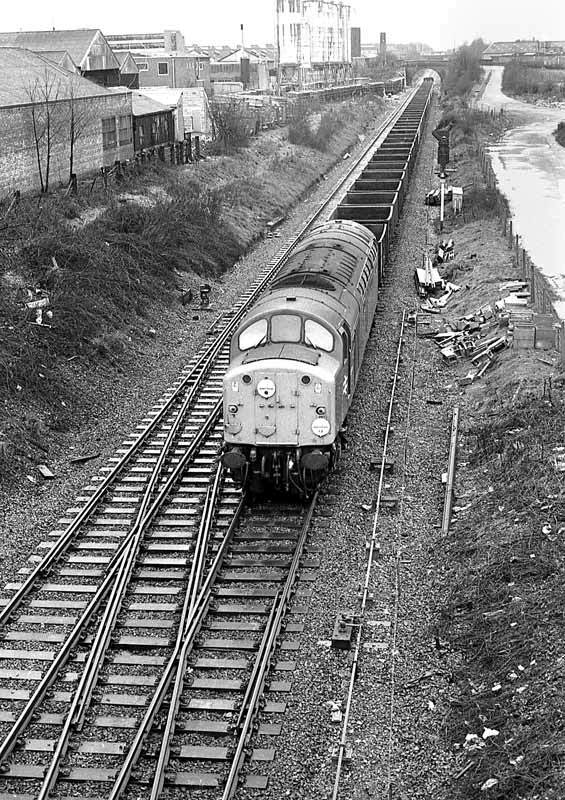 40186 standing light engine at Victoria East. 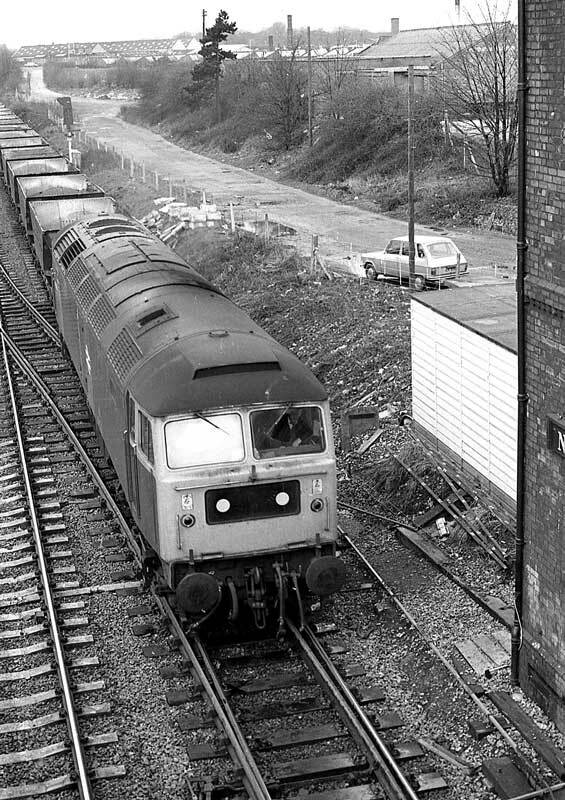 gy002-11: 04.03.79 Ardwick Station. DMU passing through on its way to Piccadilly. 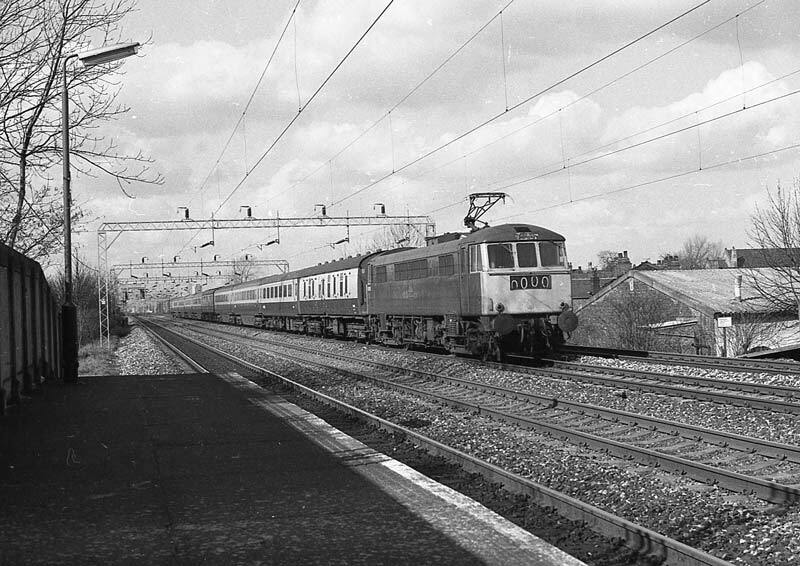 gy002-12: 17.03.79 Cheadle Hulme. 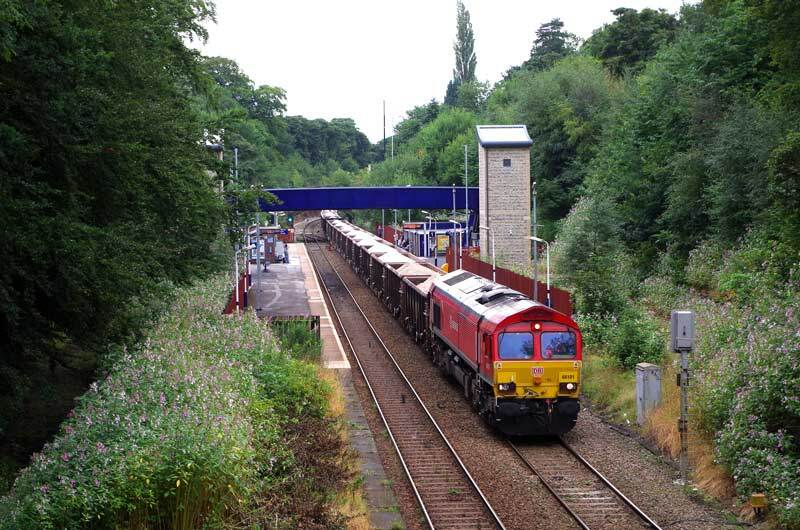 87008 'City of Chester' with an up parcels train. 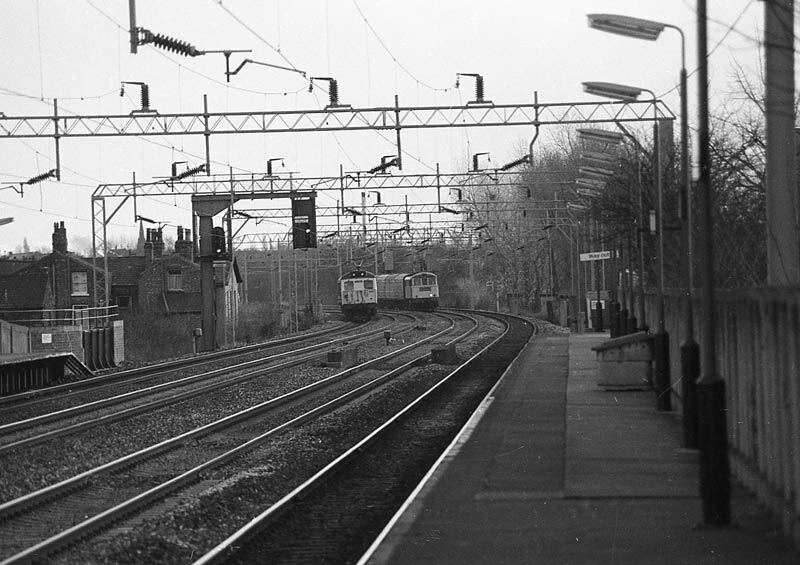 gy002-13: 20.03.79 Levenshulme (loop line). 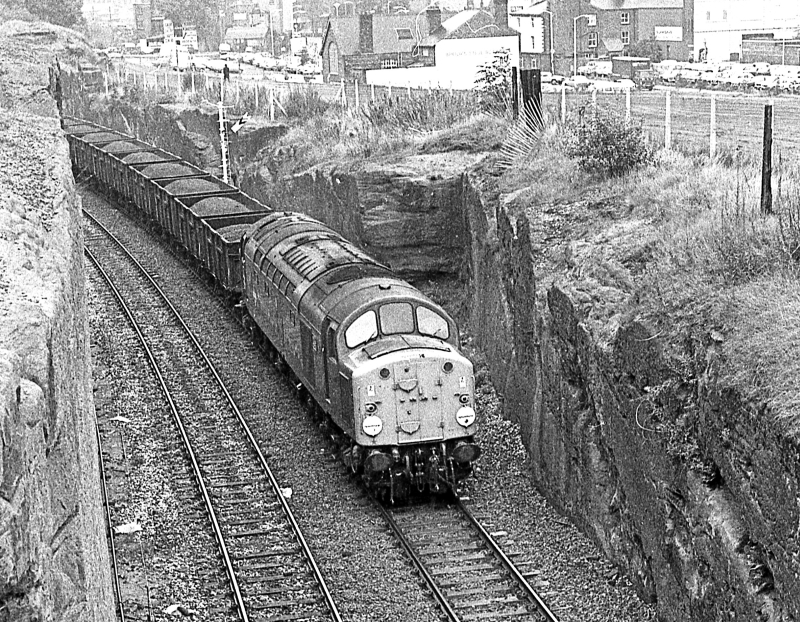 Unidentified Class 40 about to pass under the Manchester to Stockport line with a very short van train. 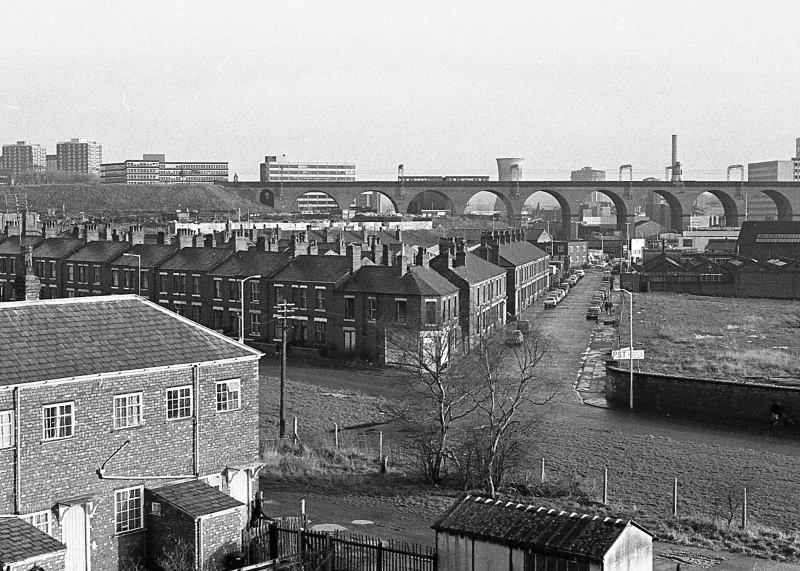 Levenshulme South station platform visible. 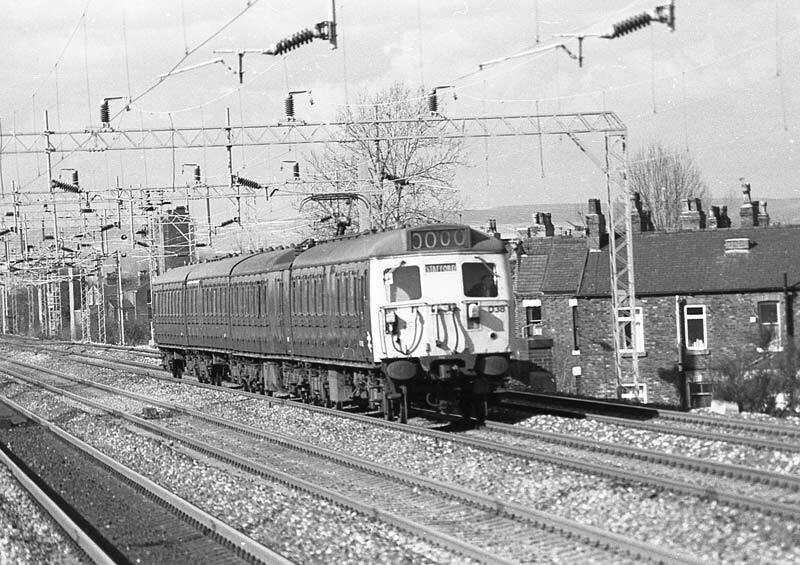 gy002-14: 23.03.79 Levenshulme Station. 86249 with an up express. 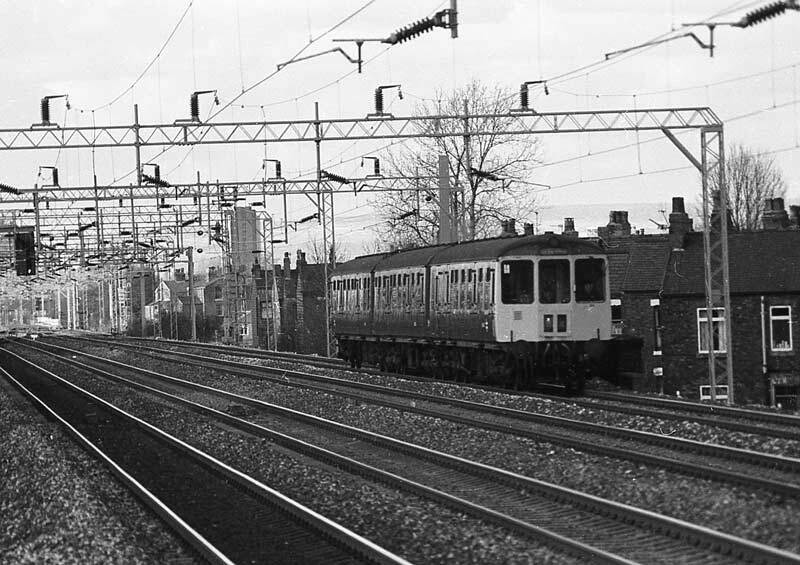 gy002-15: 23.03.79 Levenshulme Station. 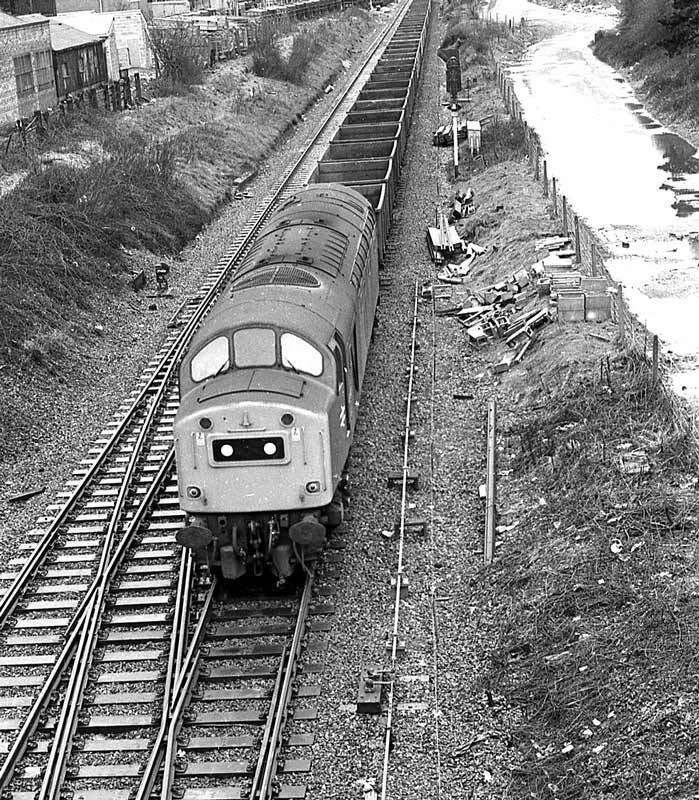 Class 86 approaching from the south and a 304 EMU travelling in the opposite direction. 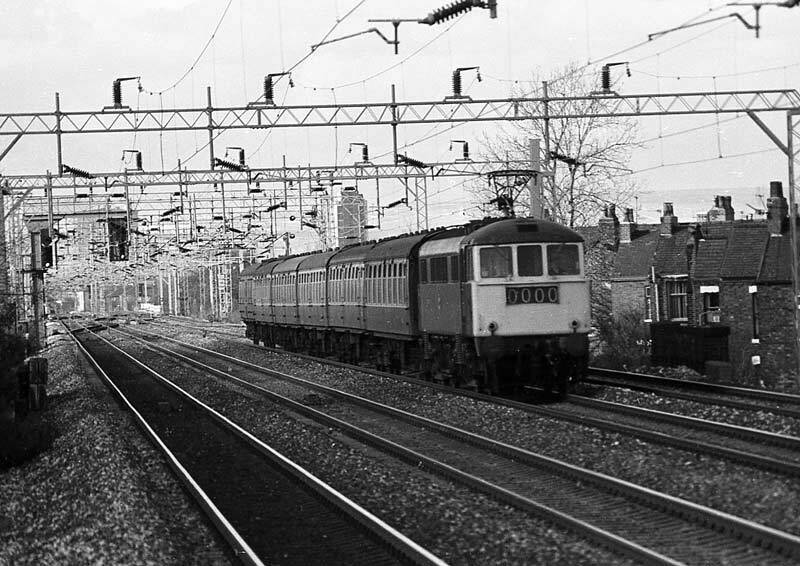 gy002-16: 23.03.79 Levenshulme Station. 86257 on a down express. gy002-17: 23.03.79 Levenshulme Station. 304038 on a Manchester Piccadilly to Stafford service. gy002-18: 23.03.79 Levenshulme Station. 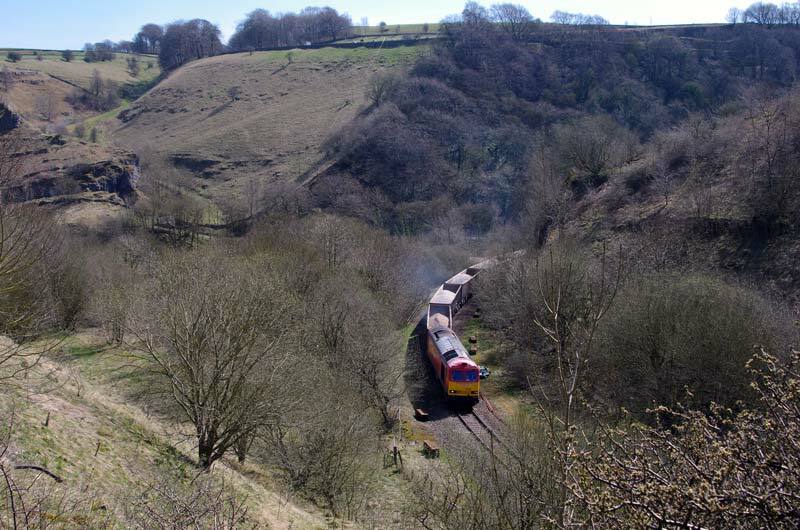 Class 104 DMU with Manchester to Buxton working. gy002-19: 23.03.79 Levenshulme Station. 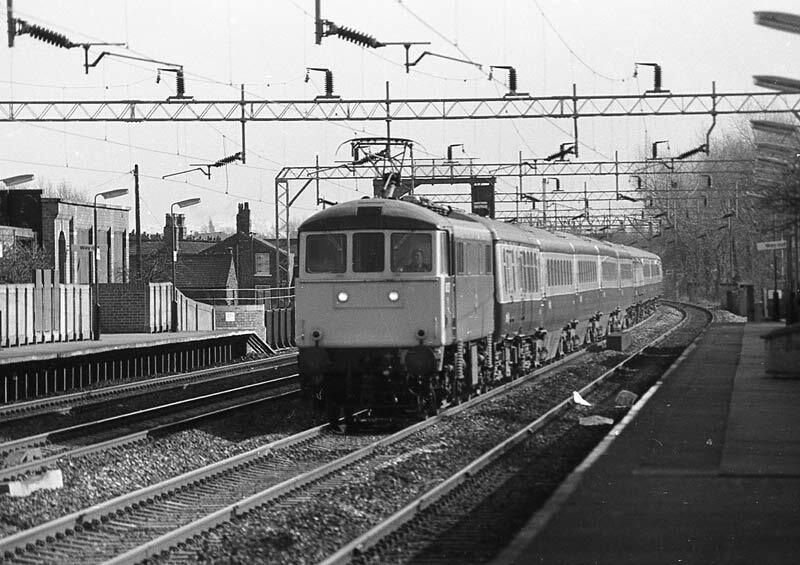 87028 'Lord President' on up Euston with Class 104 DMU on the down slow with a Buxton to Manchester Piccadilly service. gy002-20: 23.03.79 Levenshulme Station. 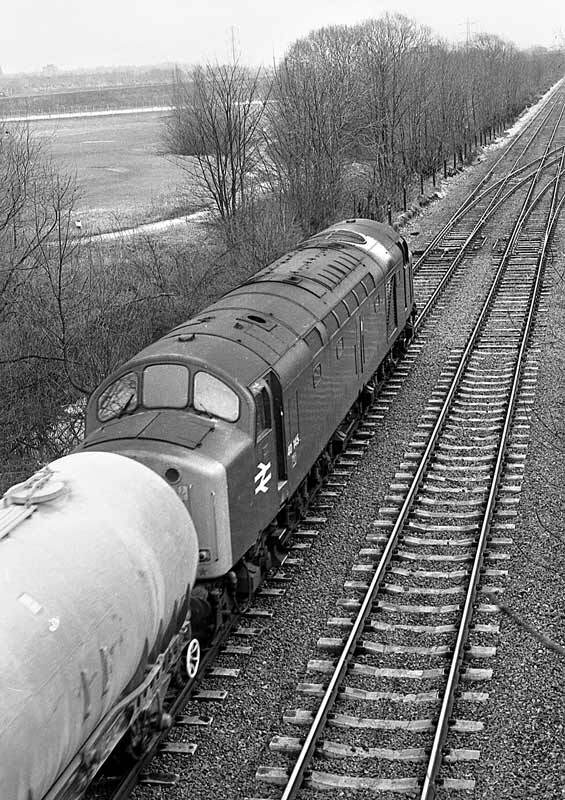 Unidentified Class 86 on a southbound express. gy002-21: 23.03.79 Levenshulme Station. 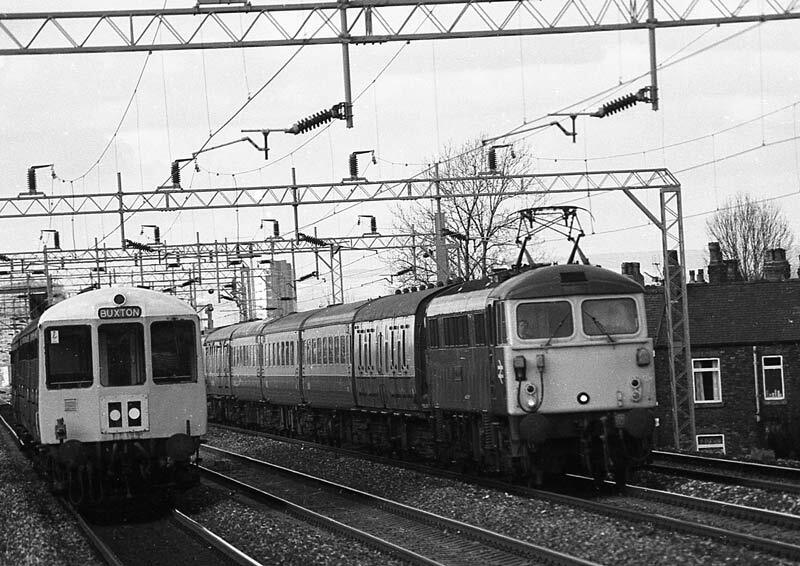 Unidentified Class 86 on a southbound express. (Same train as previous shot). gy002-22: 31.03.79 Northenden Jct. 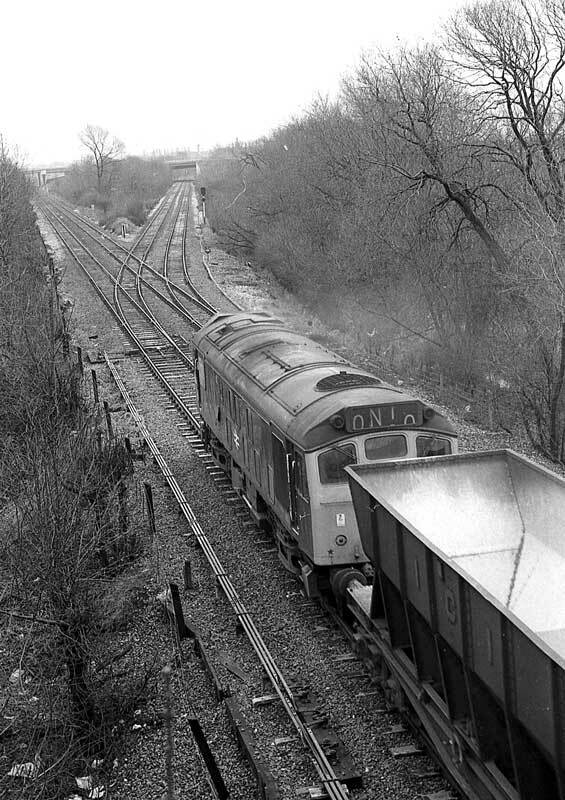 Unidentified Class 25 travelling east with I.C.I empty hoppers. 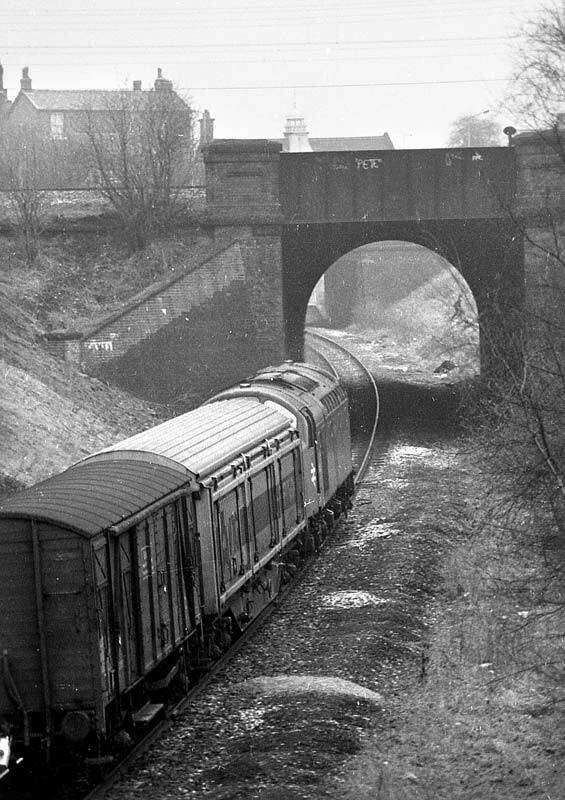 gy002-23: 31.03.79 Northenden Jct. 47284 passing the box with empty MGR coal train. 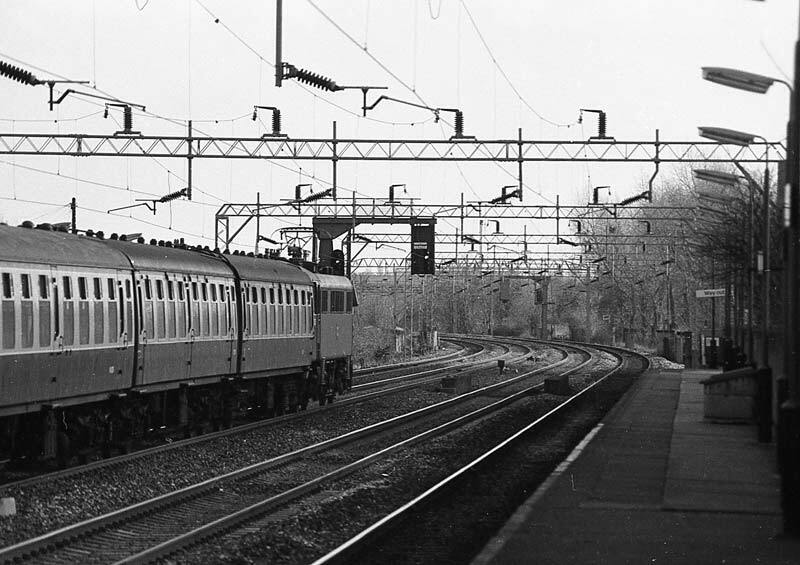 gy002-24: 31.03.79 Northenden Jct. 47352 crossing the junction from the Woodley direction with a loaded MGR coal train. 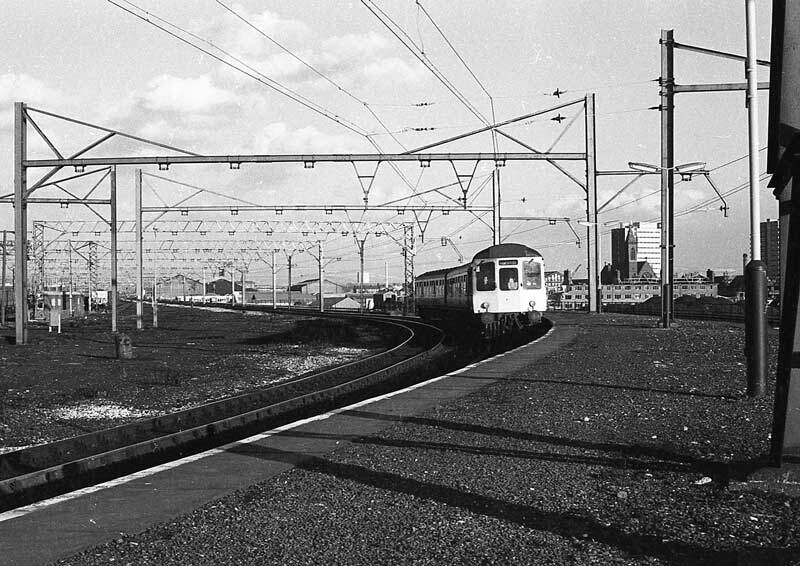 gy002-25: 31.03.79 Northenden Jct. 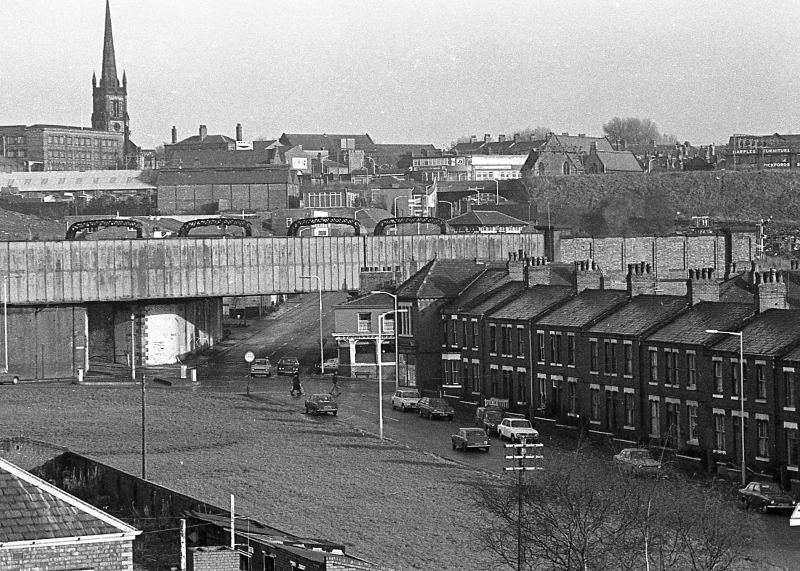 40145 heads towards Stockport on the ex CLC route with a train of tank wagons. 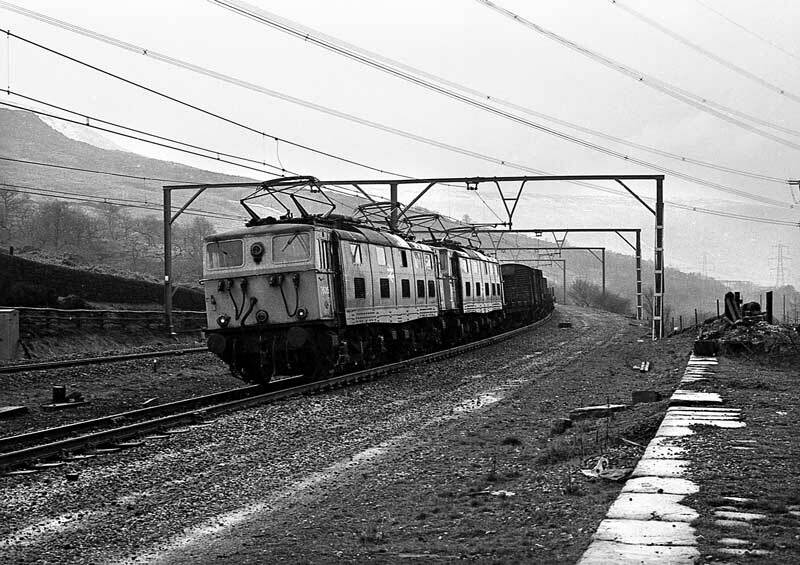 gy002-26: 07.03.79 Crowden. 76015 & 76012 head east with a mixed freight. 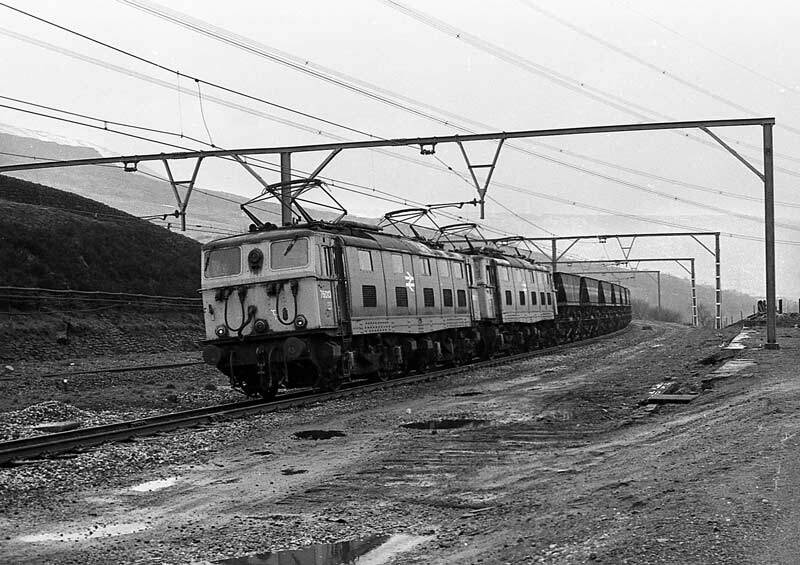 gy002-27: 07.03.79 Crowden. 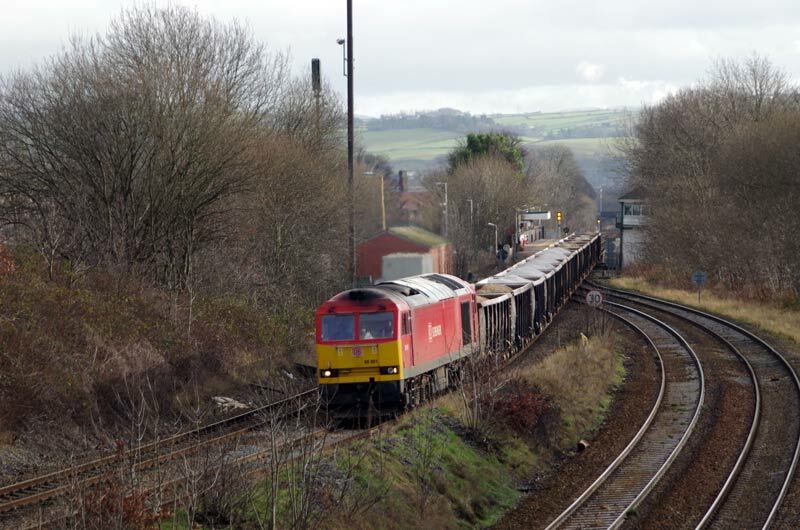 76013 & 76014 with an eastbound empty MGR coal train.